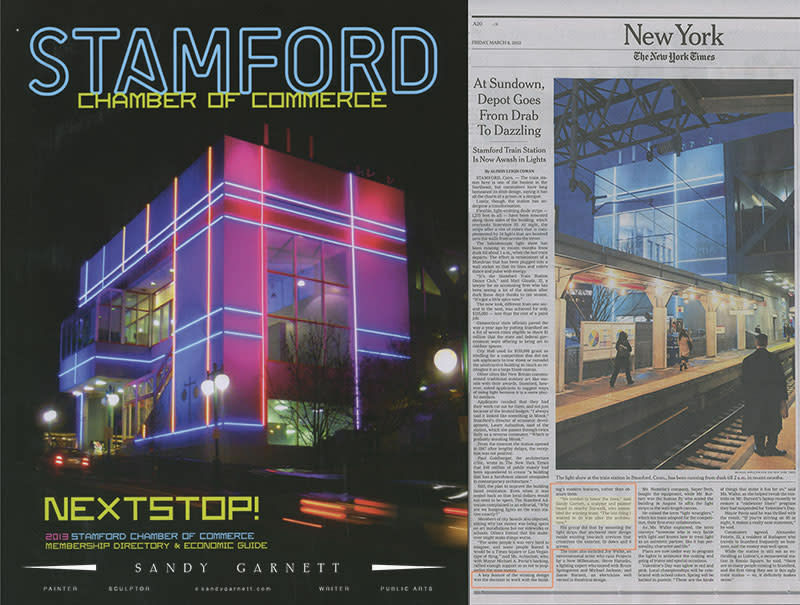 Stamford Luminata, 2012-Present. Garnett put the team together (with the late Joy Wulke) to create a moving light installation. Budget $155,000.